Cover: Teachers reach out and take assessment seriously. 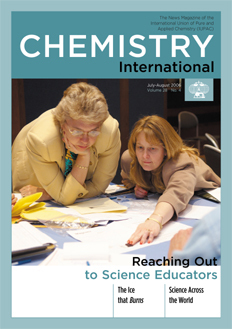 Donna Leese (left), Pennsylvania state coordinator for Building a Presence for Science, and Christine Royce of Shippensburg University,during the 6th Annual Leadership Initiative in Science Education held at the Chemical Heritage Foundation in Philadelphia, (Pennsylvania, USA), April 2006. Read more on p.34. Photo credit: Douglas Locker, CHF. Page last modified 25 September 2006.